Before the Author Residency Programme, you had already visited Indonesia. What motivated you to return for this longer stay? What were your expectations? My first stay was arranged as part of government travel, meaning, I didn’t get to see much of Indonesia aside from the hotel and a few tourist attractions, although the last trip did give me some insights into the country’s foreign policy. 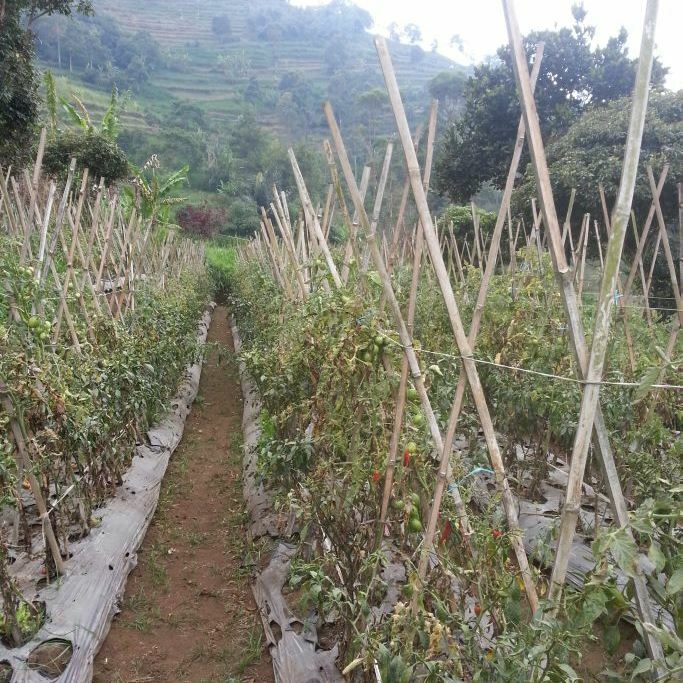 The day and a half I had spent in Jakarta, however, did leave me with a lasting impression – especially meeting Andrea Hirarta and a visit we made to a children’s village -, it just got me interested. And although I do have a preference for colder climates and cool temperatures, I was up for a visit to Indonesia to get to know the country better, it’s a country that I didn’t know much about, other than its coffee and great temples. Which experiences from this Indonesia trip will you remember especially? Walking through a field in that grew chilli peppers. The tree standing in my bedroom. Banana groves and rice-paddies. 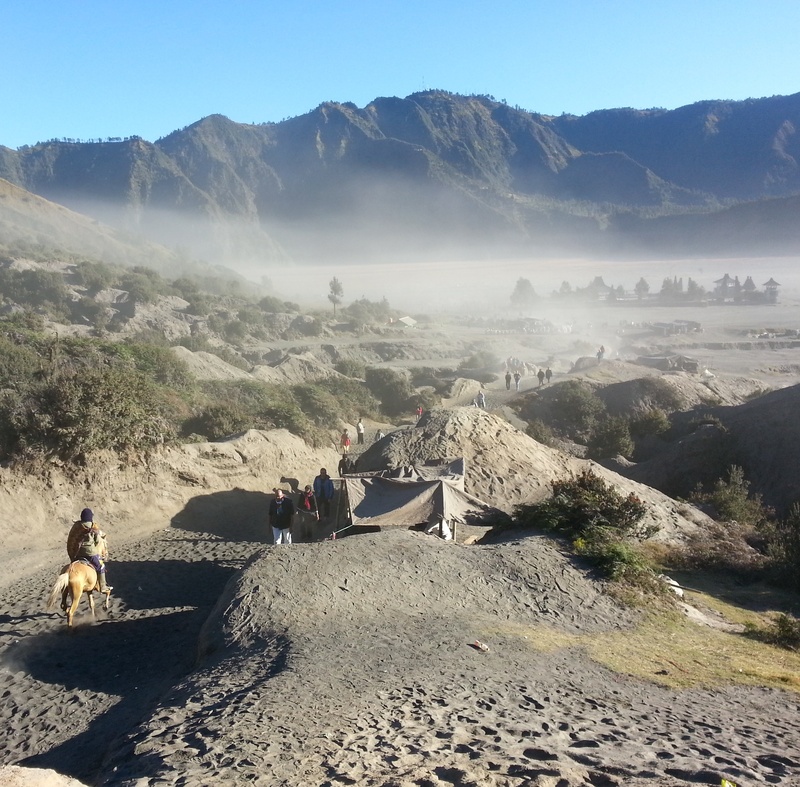 The loud inside the Bromo crater. The strong surfs of the Indian Ocean crashing just a few meters off those sandy beaches. The tortoise that watched me as I was preparing my coffee. A particular Teak tree. Rainforest-covered mountains. The artificial grass in the middle of the city of Bandung. Garden-walls built with corals, and the staling and tipsy flight of the mosquitoes. Ironically, someone warned me that mother nature on this side of the world was hazardous. Did you get the chance to study Indonesian literature more deeply? What did you discover from your meetings with Indonesian authors? Following my discussions with the authors, including Andrea Hirata, Iwan Bajang, Laksmi Pamuntjak and Saut Situmorang, I noticed that abroad, those getting noticed the most are the ones that try to conceptualize their writing and the essence of their texts onto a western perspective. Hirata received international attention, after an American agency discovered him, and after his novel appeared in an adjusted way. Laksmi Pamuntjak, who studied in the USA, set out to write her novel “Alle Farben Rot” in the English language. Whether this forms an advantage for these novel writers is subject to further discussion. Within the local Indonesian literature sphere it seems that there are ideological warfare trenches here – it’s similar to how it used to be in the DDR – which one can trace back through the political history, but which also have religious causes. An outsider would only be able to take part in discussions on these topics with great difficulty. Furthermore, there are also a number of younger authors, who are publishers as well, and who are trying to promote young writers within these warfare trenches, apart from the mainstream that is aimed at western-audiences, and religious conflicts. They will leave their mark on Indonesian literature.